Travel podcasts are one of the best mediums to consume while traveling and before and after trips to help you plan and process new travel experiences. 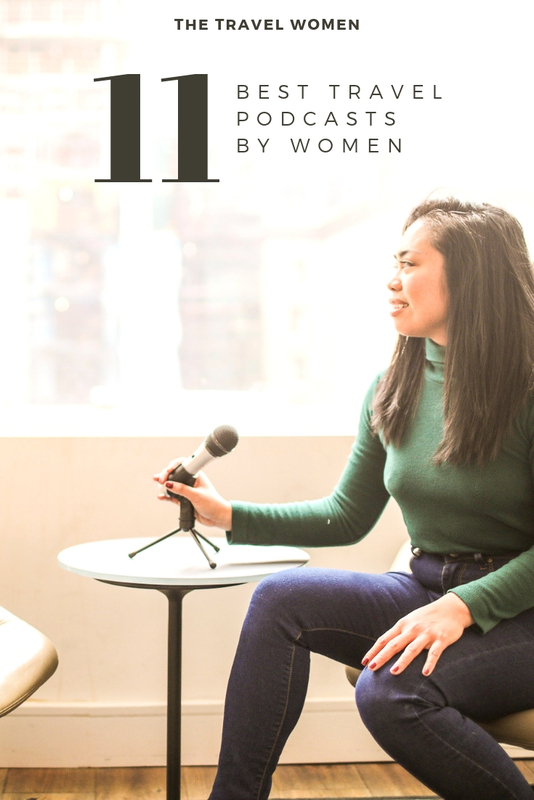 As a podcaster I may be biased, but I love listening to podcasts by women, especially while on the go. All you need are your headphones to listen for inspiration and entertainment. 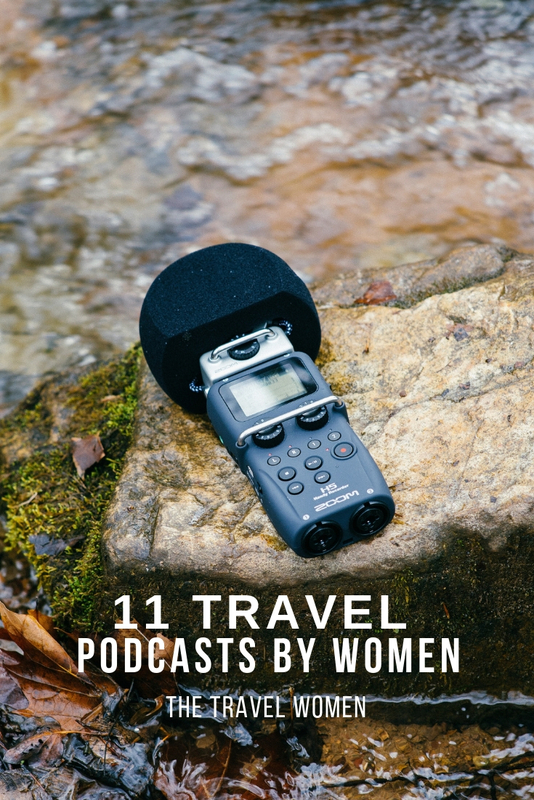 If you’re looking for new inspiration to tune into, here are the 11 best travel podcasts by women who have made it their mission to experience the world in an unconventional way. Subscribe to these podcasts to intensify your wanderlust. I may be biased since this is my own podcast, but this is perfect for people looking to become digital nomads. I speak with inspiring individuals who ditched conventional lifestyles to become location independent. From early retirement, to backpacking single moms, my subjects share their passions and struggles to live and work anywhere. She-Explores podcast shares stories of women who are inspired by the time they have spent in the great outdoors. They cover topics from solo hiking, camping, entrepreneurship, diversity and feminism as they intersect with the great outdoors. Ever wondered how you can travel the world full-time on a budget? Listen to The Budget-Minded Traveler to get the best tips from host Jackie Nourse. This award-winning podcast is a great resource for planning your next budget friendly trip. 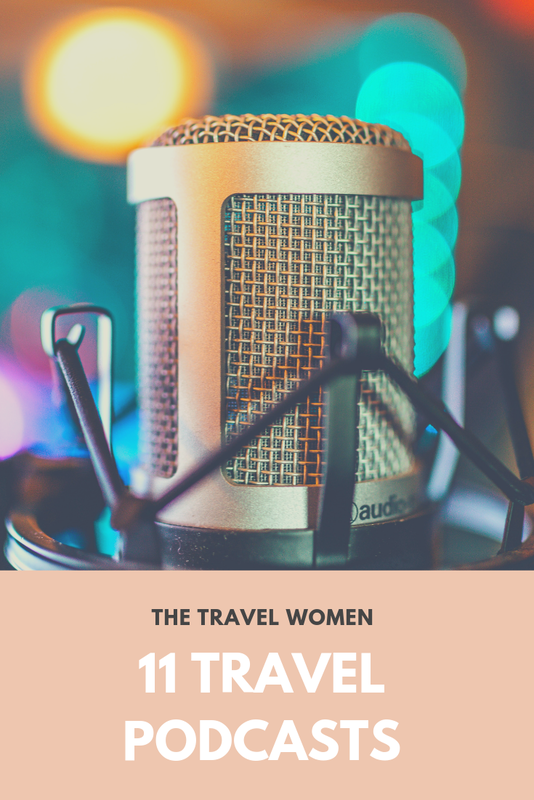 This podcast is created by Conde Nast Traveler and shares stories of over 100 women’s adventures. The hosts of the show are editors Lale Arikoglu and Meredith Carey are both well-traveled and share the realities of traveling as a woman today. Hosted by Willow Belden, this award-winning podcast shares how we can heal and be inspired when we spend time outdoors. It’s a breath of fresh air and will help you get clarity as you navigate your way in the world. Unmapped is a wonderful podcast hosted by Angelina Zeppieri, who takes her listeners on her journey around the globe. Angelina can relay her journey in an imaginative way that takes you out of your comfort zone and features a roster of guests – many are also well traveled women. Interested in hiking and backpacking or just curious about unconventional travel? Then this podcast is perfect for you. Hosts Josh and Heather share their tips and tricks from packing to advice while you’re on the trail. Listening to Laura Hughes will inspired to travel in new ways. Laura interviews women who share their experiences on what it’s like when the road becomes your home, while she herself lives in a Ford transit van. Roll with me is a podcast that interviews people who live alternative lifestyles. From van life to tiny houses, you’ll learn why and how people live unconventional lives. Girl camper shares a range of topics from overcoming fear, becoming intentional with our actions to interviews with women who took the leap to live a better life. The Lonely hour is hosted by Julia Bainbridge who leads discussions on loneliness, especially as a solo traveler. Julia has compiled amazing guests who talk about their experiences and how loneliness can affect different aspects of our relationships. Which podcasts do you listen to? Comment below!